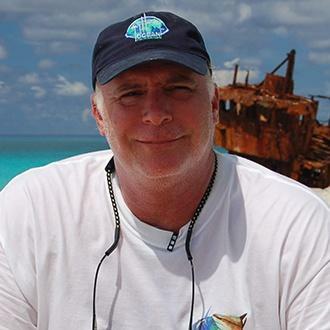 Sharks are beleaguered species. 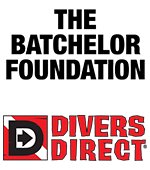 The oceans’ most formidable apex predators are overfished worldwide for their fins, which are considered a delicacy in many Asian countries. 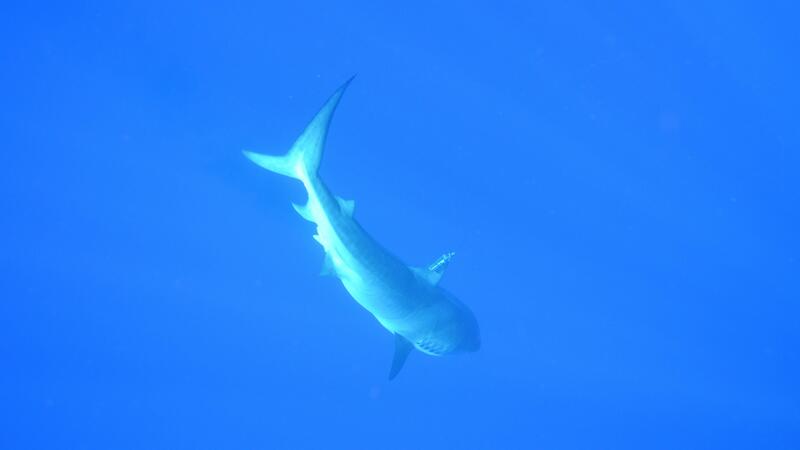 Shark populations have declined by up to 90 percent in some cases. But much is still unknown about the animals. 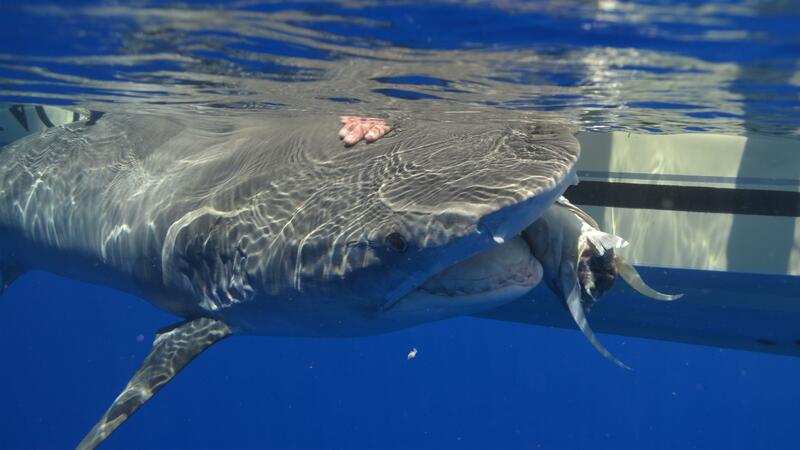 Tiger sharks in particular display behaviors that are not well understood. 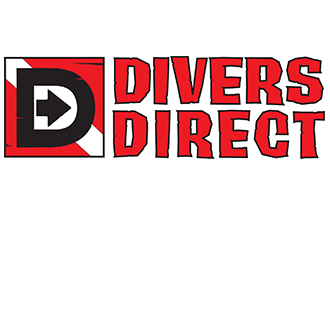 Known to travel long distances, these fish have a broad diet and spend time in shallow, near-shore habitats as well as the depths of the open ocean. Scientists use satellite tags and DNA forensic tools to better understand their migration patterns. 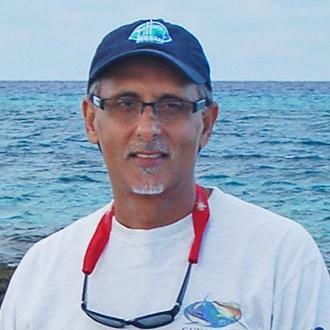 Such information is crucial for resource managers to make more informed fisheries management decisions in the future. 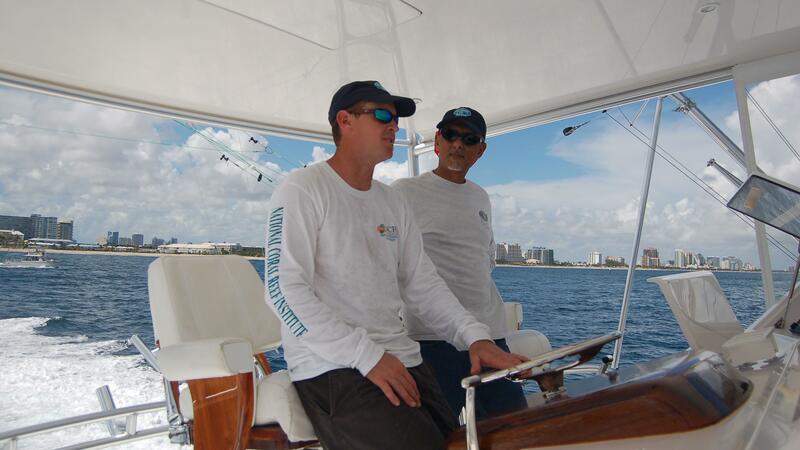 Charter fisherman Jeff Izanec (left) and shark researcher Dr. Mahmood Shivji from Nova Southeastern University chat as the boat leaves Ft. Lauderdale and heads to the Bahamas. 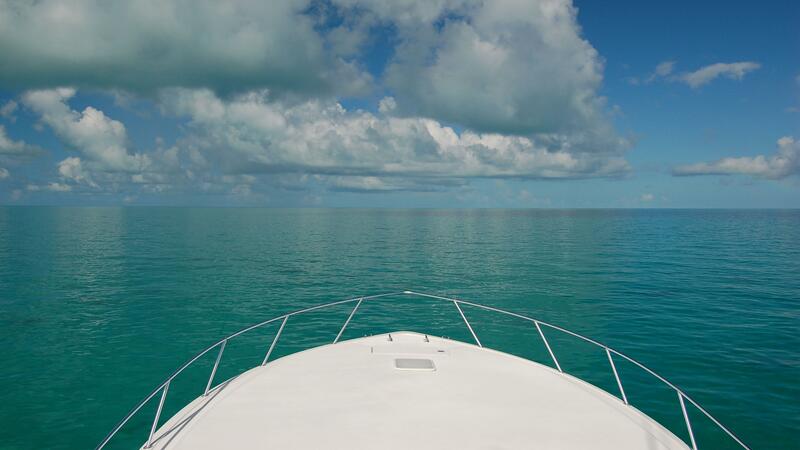 The beautiful waters of the Bahamas are famous for their sharks. 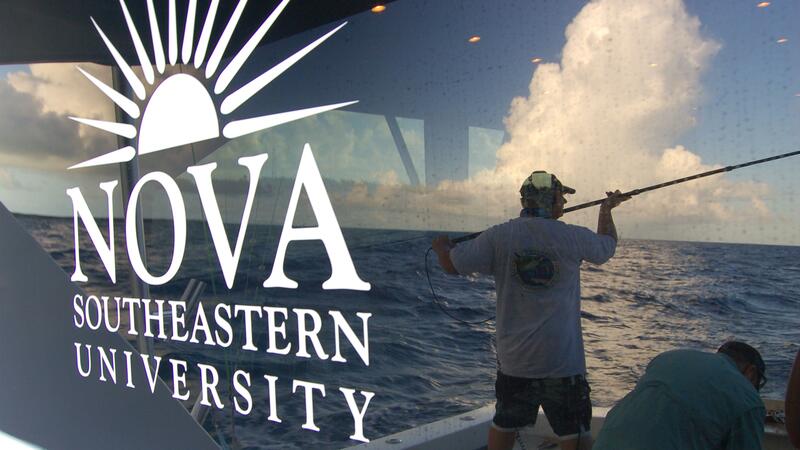 The R/V Sandbob, shark research hub for a week. 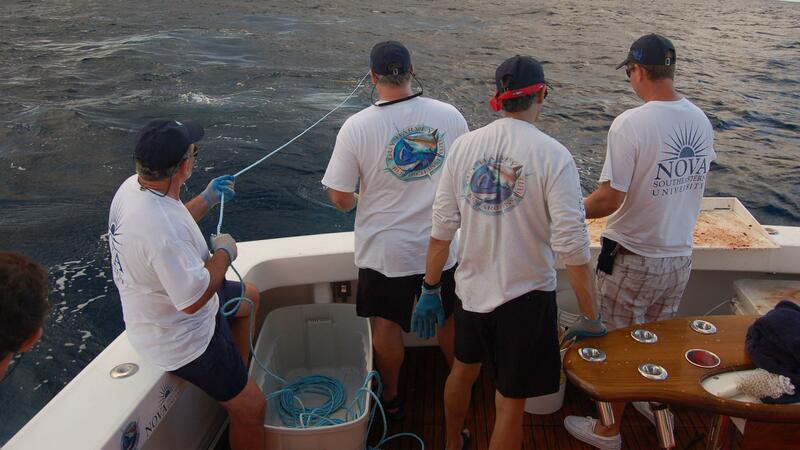 The crew setting fishing lines to catch tiger sharks. 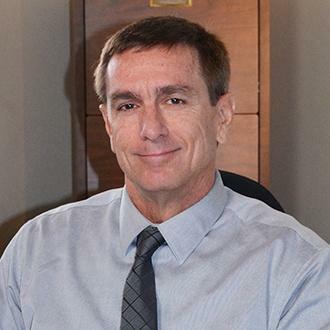 From left to right: Alex Godknecht, Ph.D., Norman Welter, Brad Wetherbee, Ph.D., Mahmood Shivji, Ph.D., and Jeff Izanec. 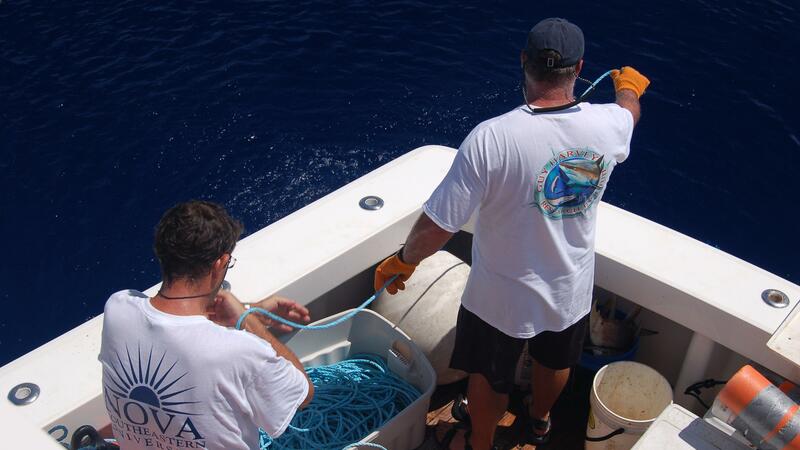 Alex Godknecht, Ph.D. (left) from the Shark Foundation, and Brad Wetherbee, Ph.D. with the Guy Harvey Research Institute setting the shark lines. 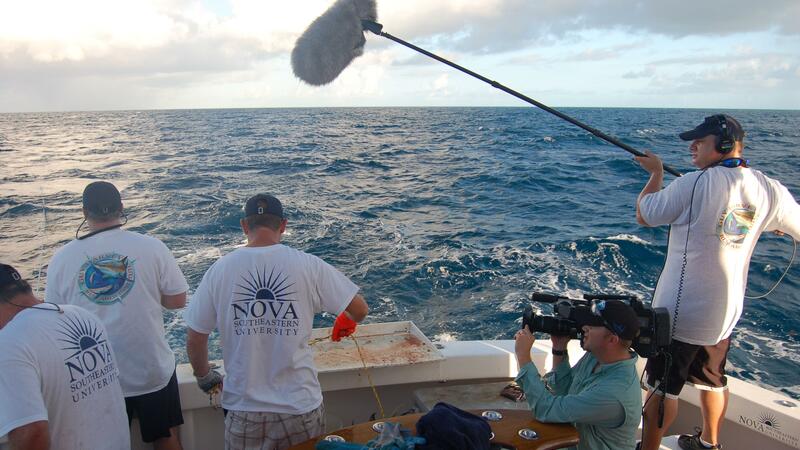 The Changing Seas crew captures the action as the fishermen and scientists set the shark lines. 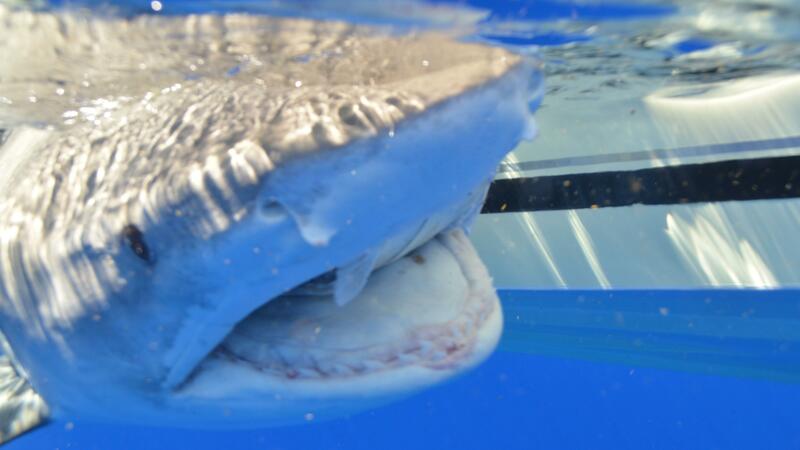 This tagging research is part of a larger study on tiger shark migrations conducted at the Guy Harvey Research Institute at Nova Southeastern University’s Oceanographic Center. 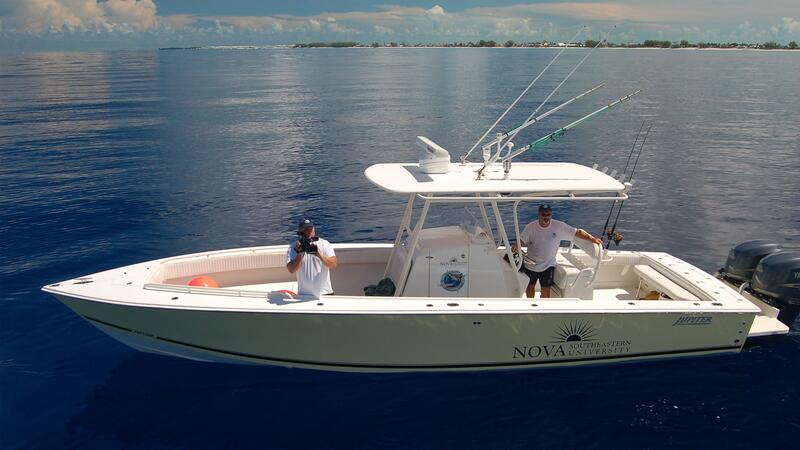 Videographer Sean Hickey capturing the action from the chase boat. 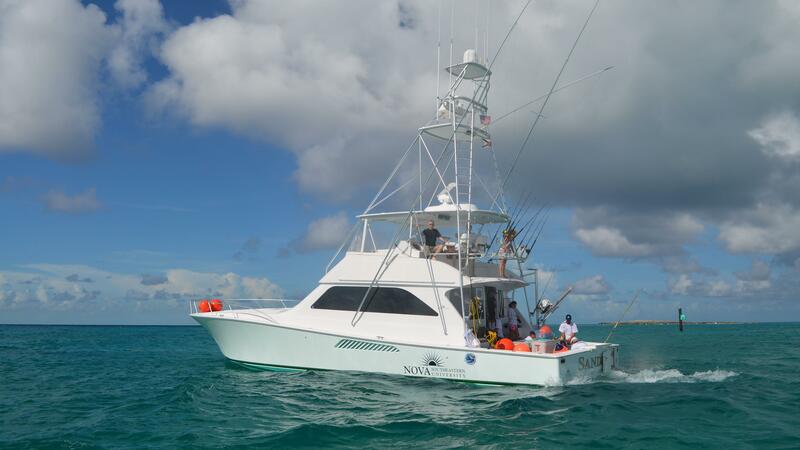 The first large tiger shark is on the line! Notice the bait is still attached as well. 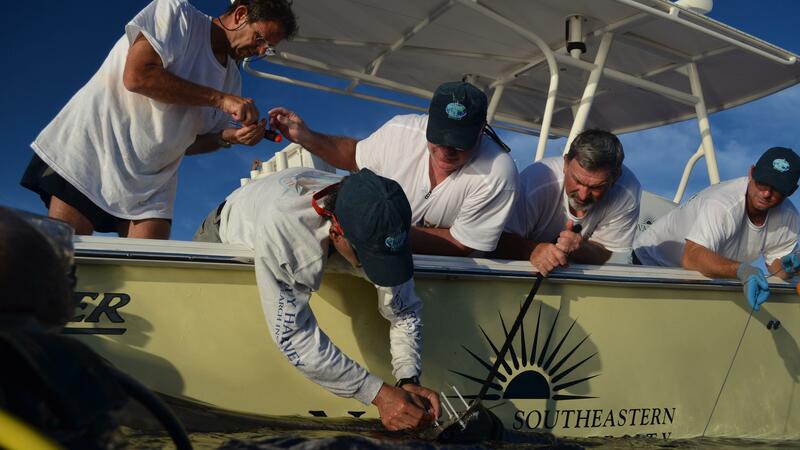 Once the sharks are on the line, researchers move quickly to bring them up to the boat and attach the satellite tags. 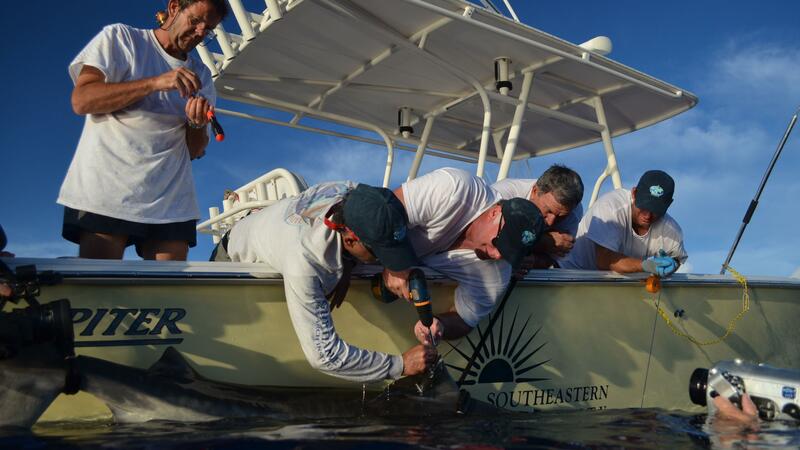 Shark experts Dr. Mahmood Shivji and Dr. Brad Wetherbee attach a satellite tag by drilling holes into the shark’s dorsal fin. 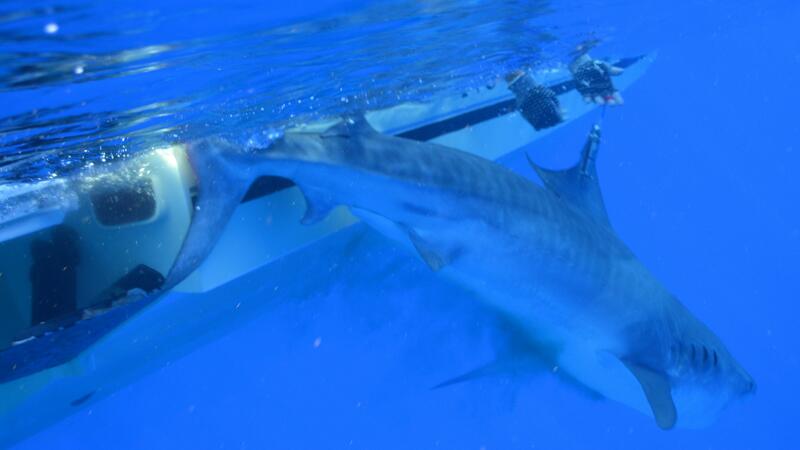 Dr. Mahmood Shivji attaches the satellite tag to a tiger shark’s dorsal fin. 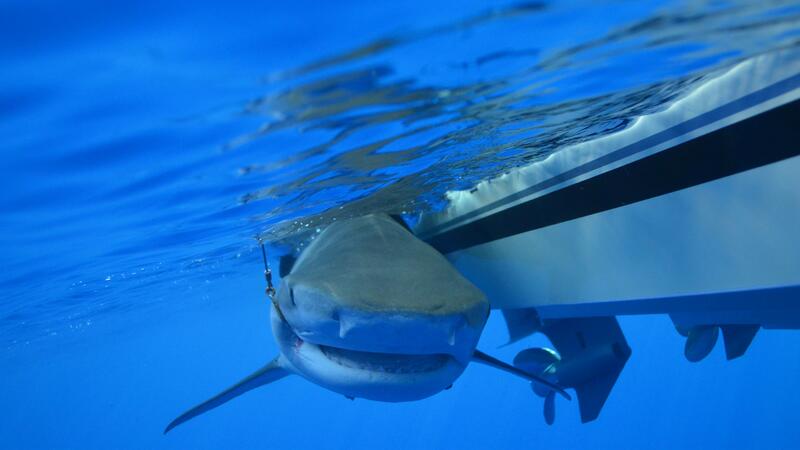 The tiger sharks are brought to the side of the boat and secured with several ropes while the researchers take measurements and attach the satellite tag. 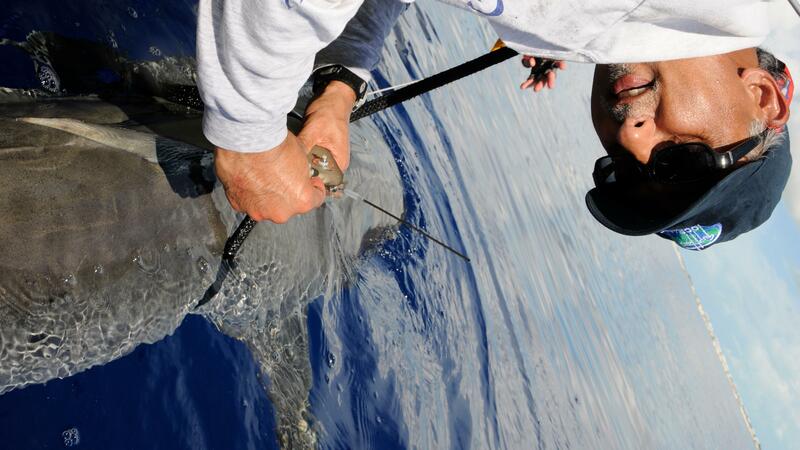 A satellite tag is tightly secured to the dorsal fin which will last up to two years. 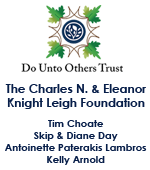 This provides crucial migration data that was previously unknown. 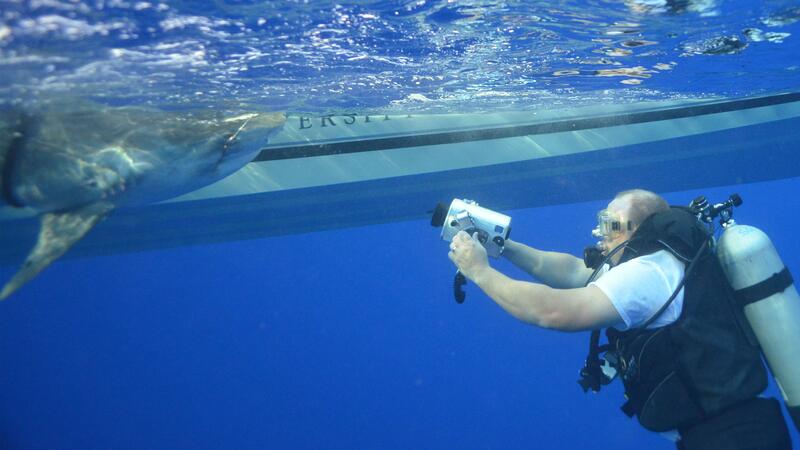 The Changing Seas crew captures footage from multiple angles. 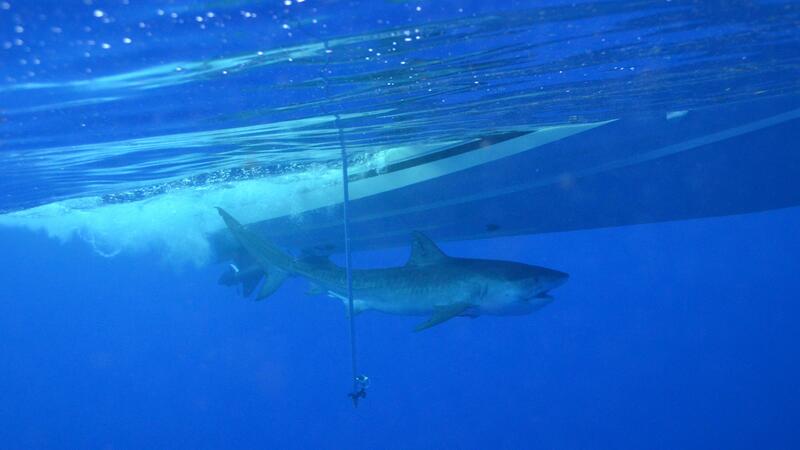 A rare face-to-face encounter with one of the ocean’s foremost predators. Videographer Sean Hickey getting the money shot! Videographer Sean Hickey ready to get a shot of the shark as it’s being released. 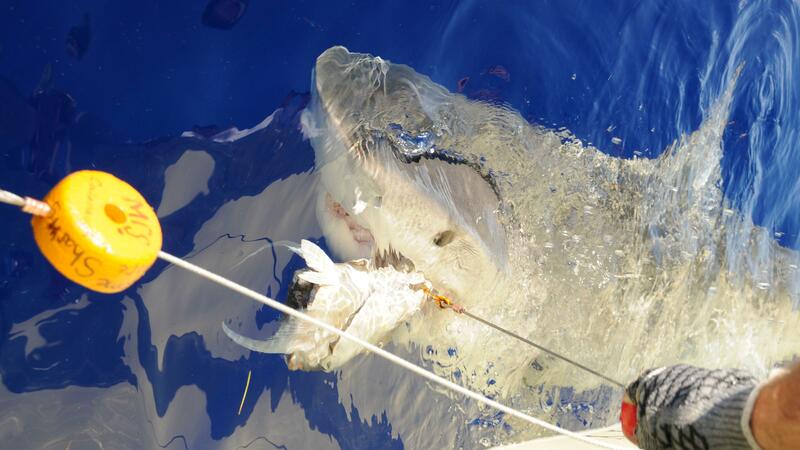 Once the satellite tag is securely attached to the dorsal fin, it’s time to let the shark go. 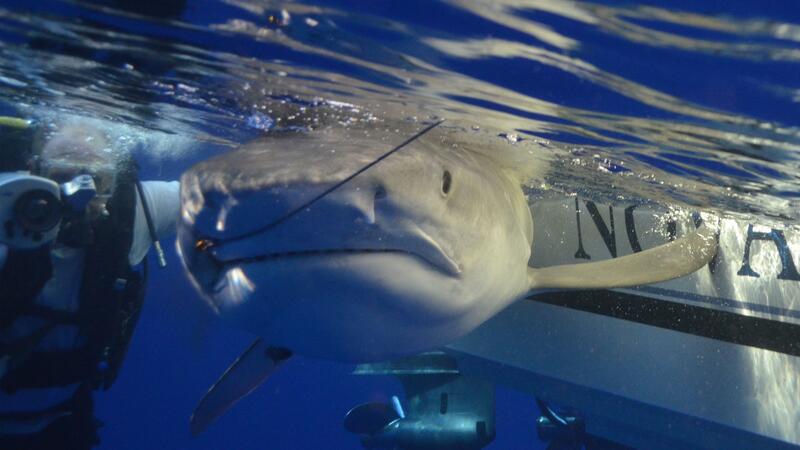 Seeing a free-swimming tiger shark is an incredible sight. 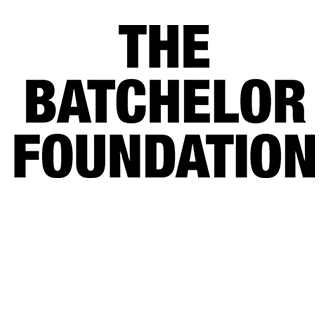 Off it goes, back into the abyss. Videographer Sean Hickey and Producer Alexa Elliott are thrilled after their up-close encounter with a ten foot tiger shark. 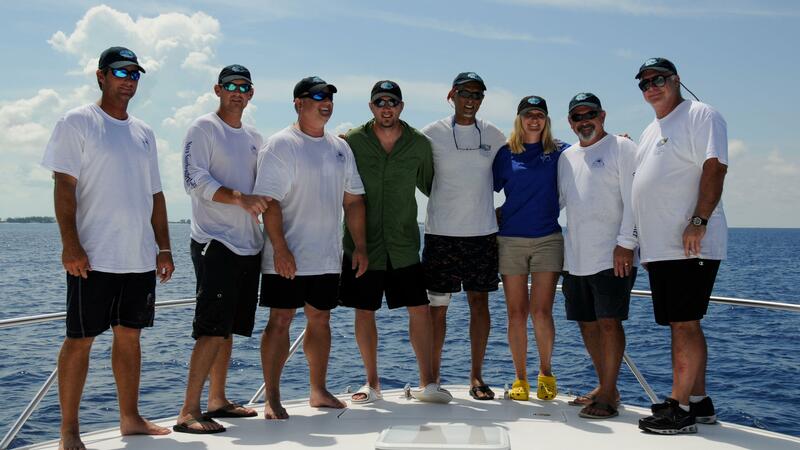 A tired, but satisfied crew after almost a week of shark tagging in the Bahamas. 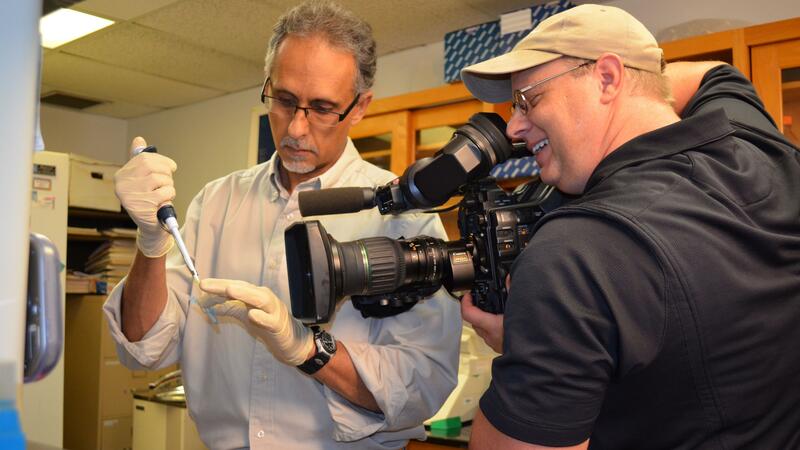 Videographer Sean Hickey films Dr. Mahmood Shivji as he is demonstrating DNA forensic techniques in his lab. 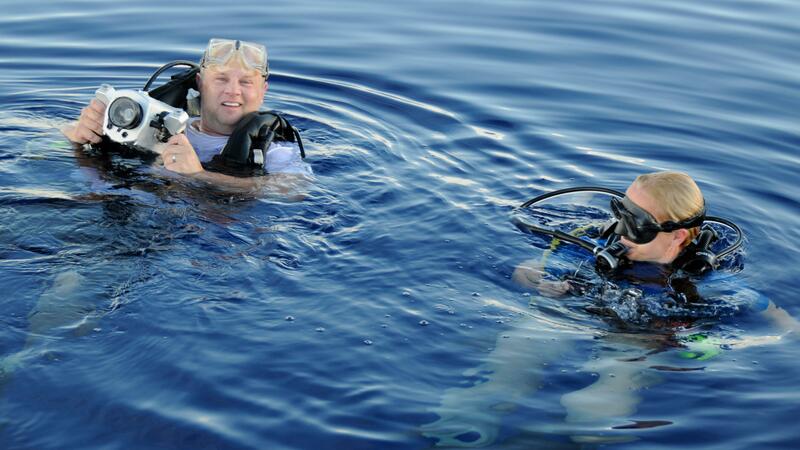 Changing Seas videographer Jeremy Nicholson filming Marine Life Artist Dr. 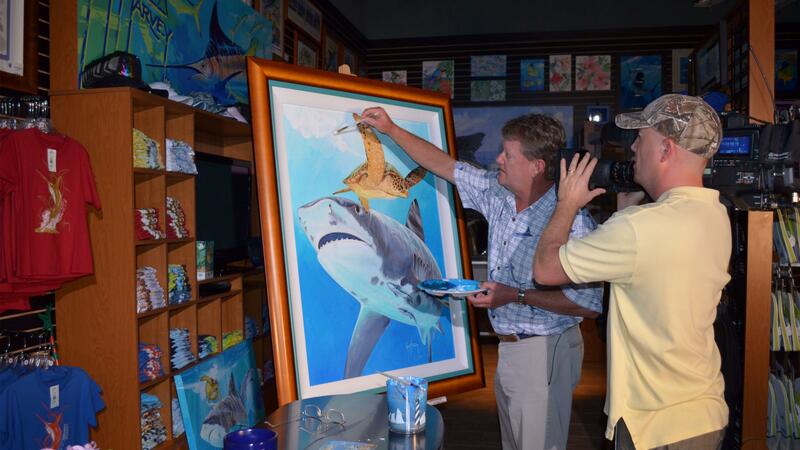 Guy Harvey as he perfects one of his paintings. 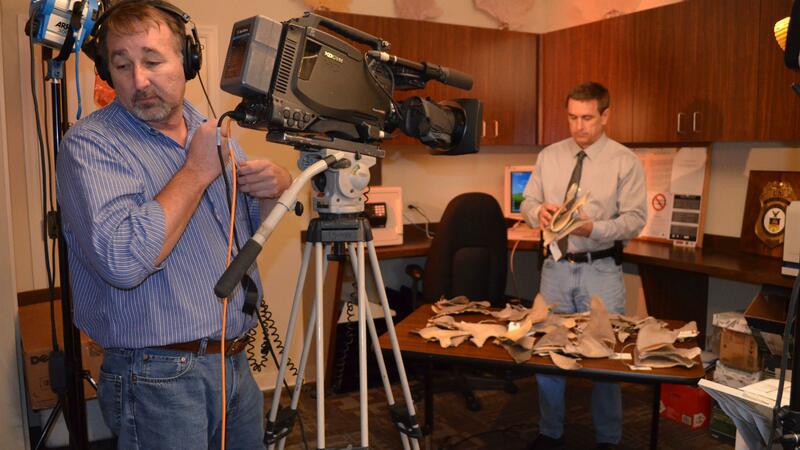 Videographer Allan Farrell sets up a scene with Supervisory Special Agent Paul Raymond from NOAA’s Office of Law Enforcement. 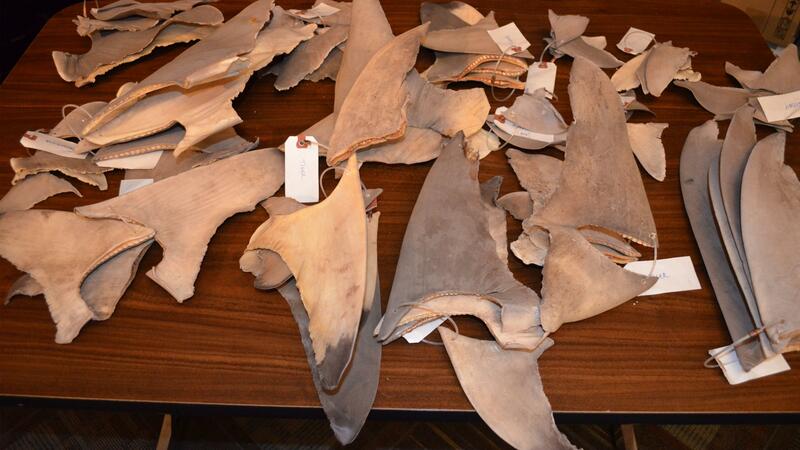 Shark fins that have been confiscated by NOAA Law Enforcement. The shark fin trade is a multi-million dollar business, contributing to the rapid decline of shark populations. 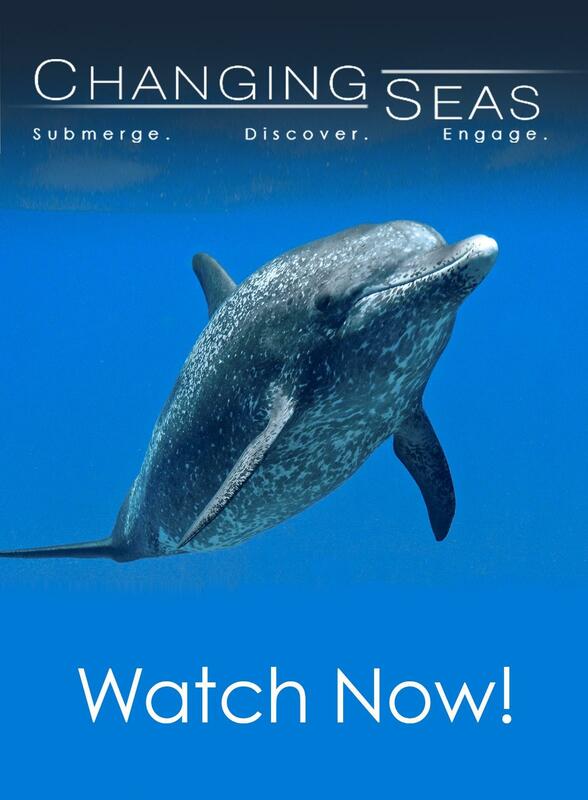 Check out this short preview of our first shark episode! 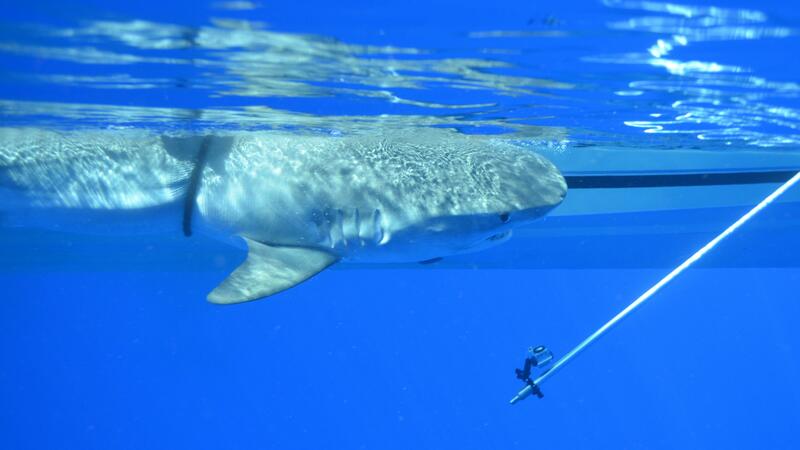 The Changing Seas crew traveled to the Bahamas to film scientists tagging tiger sharks. 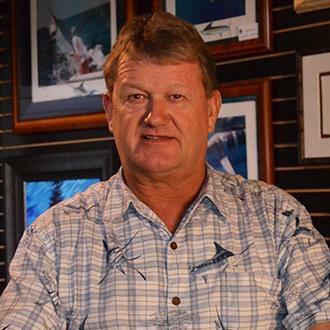 Dr. Mahmood Shivji with NOVA Southeastern University and Dr. Brad Wetherbee with the University of Rhode Island are tracking the animals as part of their research for the Guy Harvey Research Institute.